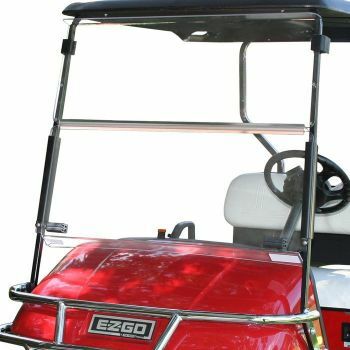 Take your electric RXV golf cart to new heights with the Ultimate EZGO Lift Kit. Exploring the trails with 5" of ground clearance makes a difference in ride capability and ride quality. Aside from an upgrade in ride capability, this golf cart lift kit will also enhance the way your ride looks. Add a set of custom off-road golf cart wheels and tires and you'll have the best ride on the block. This bolt-on kit requires no cutting or welding making installation easier. Go higher and go further. 2013.5 - Current Electric EZGO RXV Golf Carts.